Unit I - Plot No. 38 to 41, Ahmedabad Apparel Park, GIDC Khokhra, Ahmedabad-380008, Gujarat. Unit II - Godown No 3, Matiya Estate, Piplej Pirana Road, Taluka Mouje Village, Narol, Ahmedabad - 382405, Gujarat. Unit III - Godown No. 22, 23 & 24 Taluka Mouje Village, Saijpur, Gopalpur, Narol Ahmedabad - 382405, Gujarat. The Company caters both domestic as well as international markets. It has also been recognized by Government of India as a “One Star Export House” and holds a valid certificate from September, 2016 till September, 2021 from the Director General of Foreign Trade. Globe Textiles’ manufacturing units are equipped with all equipment and facilities for manufacturing of fabrics along with all the other allied equipments. The Company is also engaged in trading of yarns, denims and non denims fabrics, shirting fabrics and Jeans. Also, it performs job work for many clients. 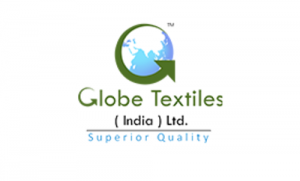 Globe Textiles IPO allotment status is now available on Bigshare Services Private Limited website. Click on this link to get allotment status. Globe Textile is good, SP Apparel kind of story. This will zoom on listing. No downside from IPO price. Hi vijay..can u guide me about globe textiles.as I have applied for the IPO. What are chances of profit? How is this IPO?? Should I apply in it?? hello, Ipo shuld be apply through ASBA facility given by SEBI to all the investors , for more information mail me tere are upcoming IPO’s of many more profitable companies .